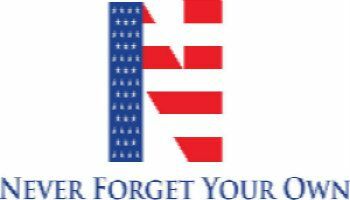 Never Forget Your Own Incorporated members that register for www.neverforgetyourowninc.org and individuals that sign up to receive Never Forget Your Own Incorporated e-communications voluntarily provide us with contact information (such as name and e-mail address). We may use this information for specific, limited purposes. You may always "opt out," either now or at any time in the future, if you do not wish to receive our messages. Never Forget Your Own Incorporated uses your IP address to help diagnose problems with our server, to administer www.neverforgetyourowninc.org and for statistical metrics used to track website visitor traffic. What do we do with the donations we receive from you? Never Forget Your Own Incorporated is committed to accuracy and precision regarding processing your contribution information. We employ numerous error-checking procedures to minimize errors, privacy and security. There are also measures in place to make it extremely difficult for anyone to intercept the credit card information you send to us. Your trust in our organization and our mission matters. www.neverforgetyourowninc.org uses "cookie" messages to automatically help provide better services. They remind us who you are and your preferences for our website based on what you've done and told us before. The "cookie" is placed in your computer and is read when you come back to our website. Cookies let us take you to the information and features you're particularly interested in. They also let us track your usage of www.neverforgetyourowninc.org, so we know which parts of our sites are most popular. You can reject cookies or cancel them by instructing your Web browser accordingly. We use your personal information to provide you with personalized service; to send e-mail alerts to you; to answer your requests, etc. You may choose to opt out at any time, which will cease all communications from us. We may also use your information to track visitor of our website. This lets us see which of our features are the most popular so we can better serve our users' needs. It also lets us provide aggregate data about our traffic (not identifying you personally, but showing how many visitors used which features, for example) to outside parties. Never Forget Your Own Incorporated does not provide, sell, or rent email addresses to anyone outside the organization. External Links www.neverforgetyourowninc.org includes links to external websites. These links do not fall under the www.neverforgetyourowninc.org domain, and Never Forget Your Own Incorporated is not responsible for the privacy practices or the content of external websites. Your use of any linked website is solely at your own risk.